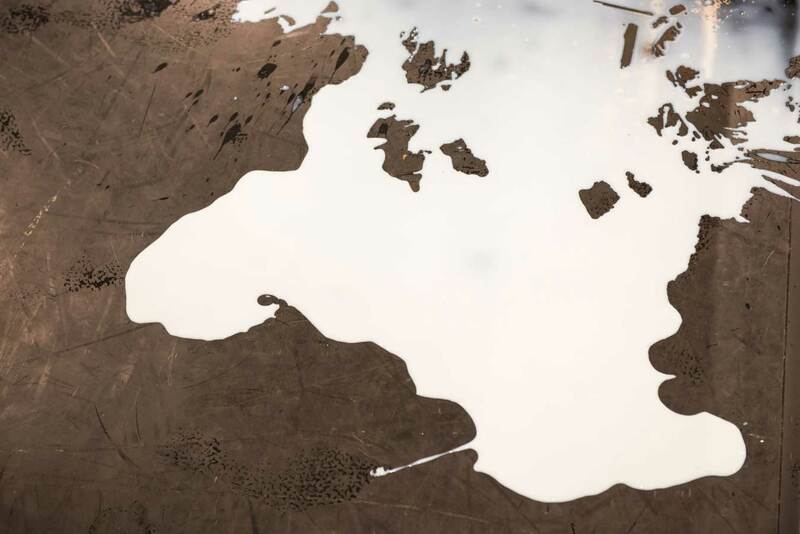 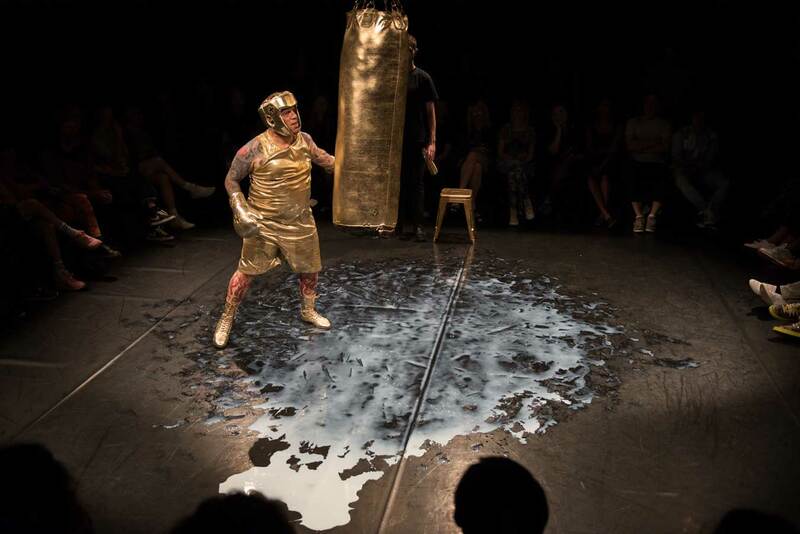 Milk & Blood is supported by Arts Council England and presented in collaboration with a/political. 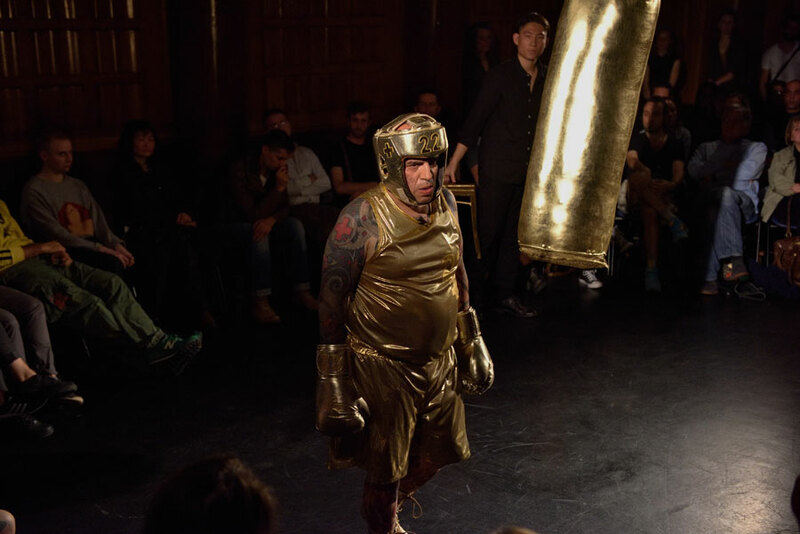 Franko B would like to thank a/political, Lee Steggles, Dawn Manners, Becky Haghpanah-Shirwan, Steve Wald, Yuki Kobayashi, Thomas Qualmann, Gill Lloyd, The Bureau of Silly Ideas, Gamba Shoes, Hillary Wili and Katie McPhee. 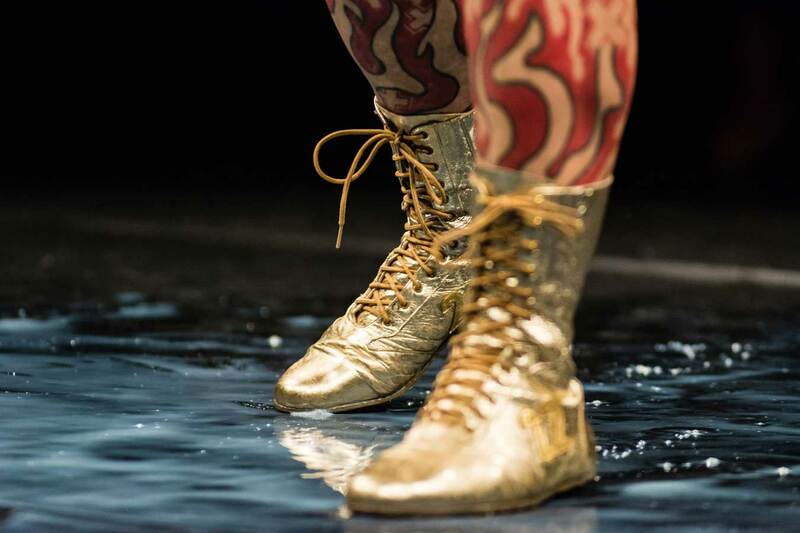 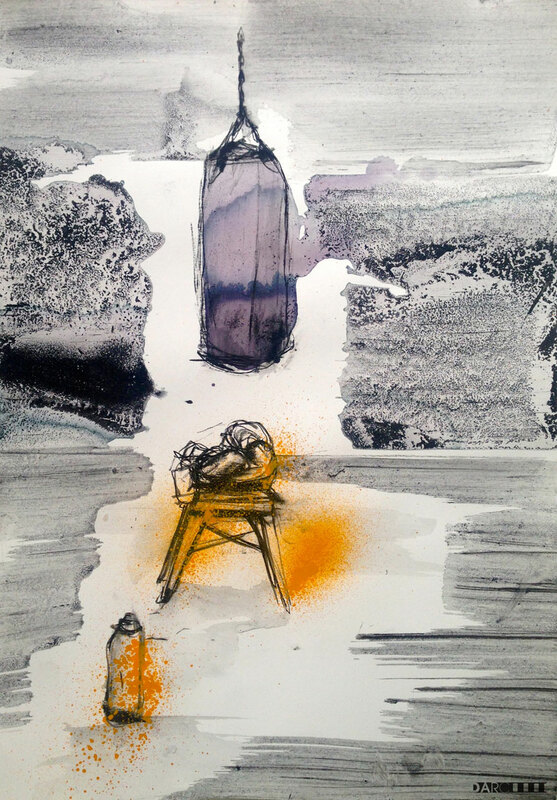 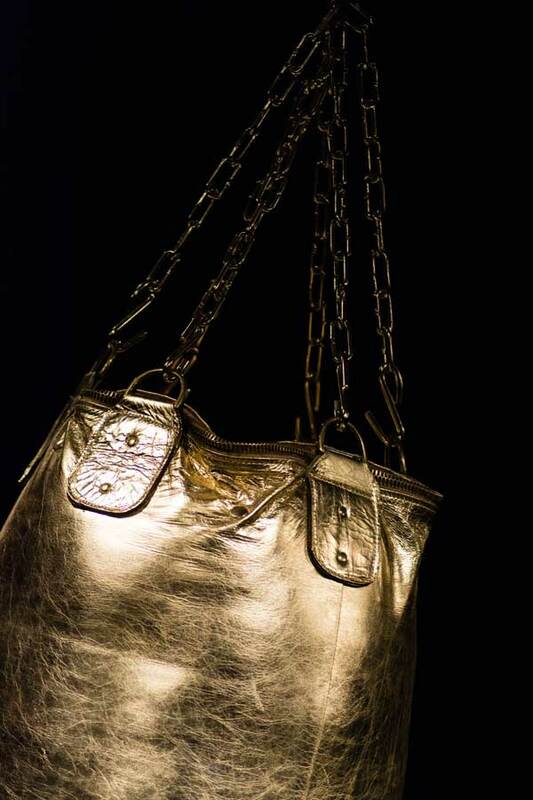 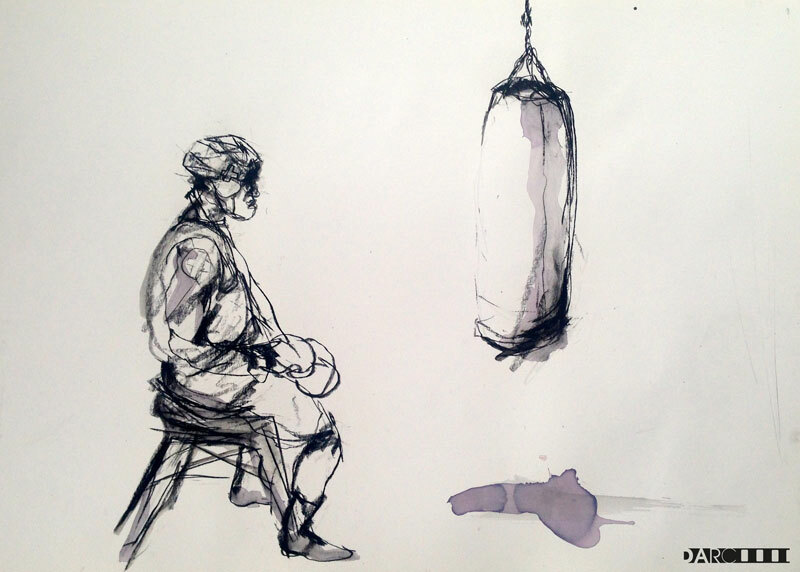 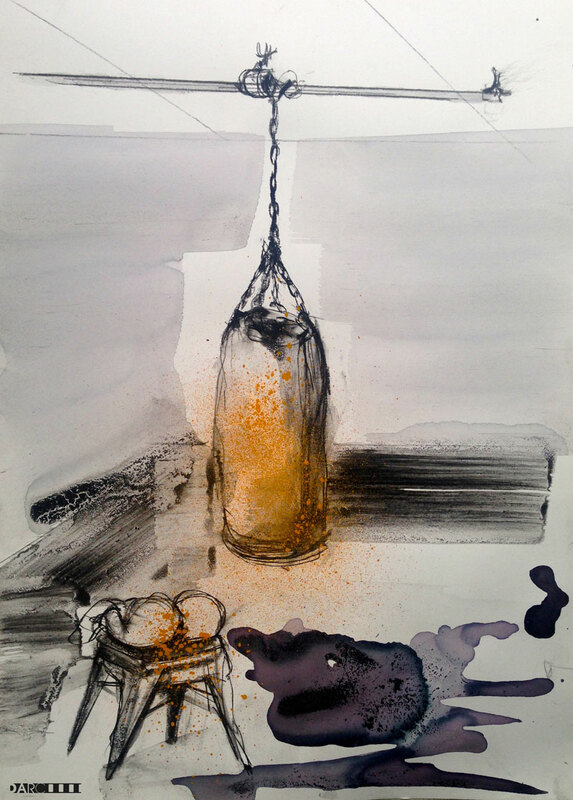 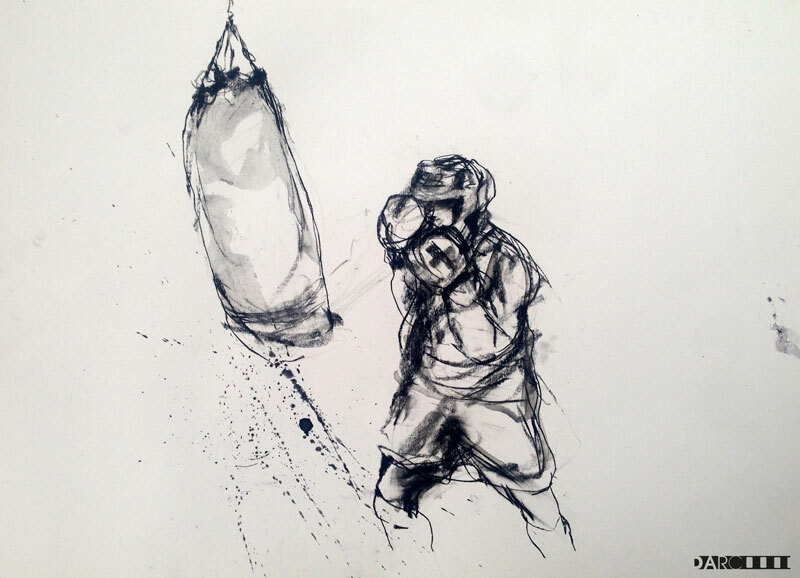 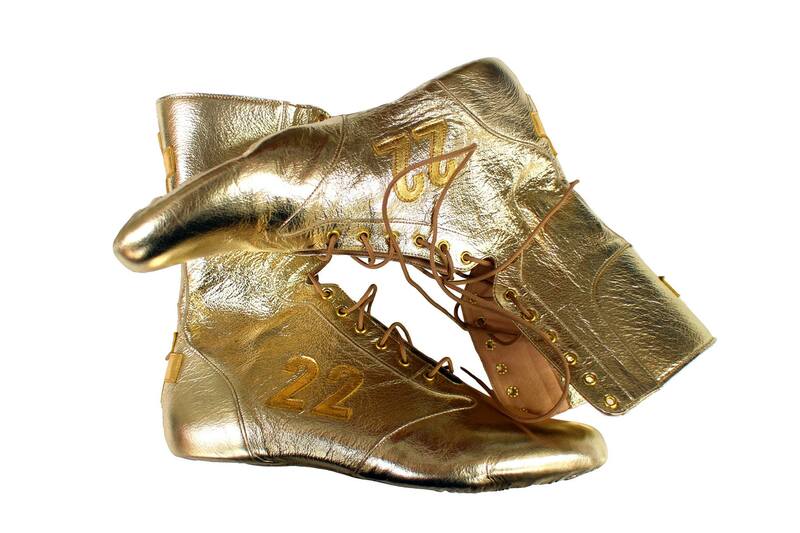 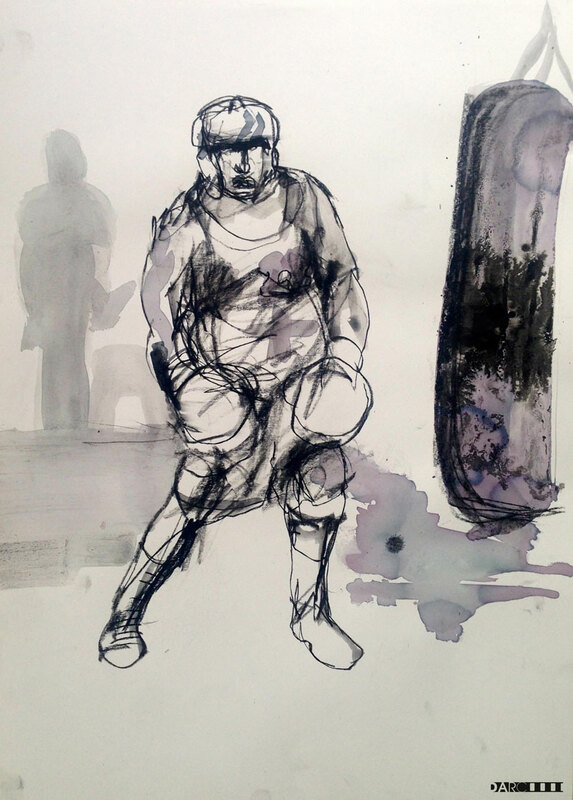 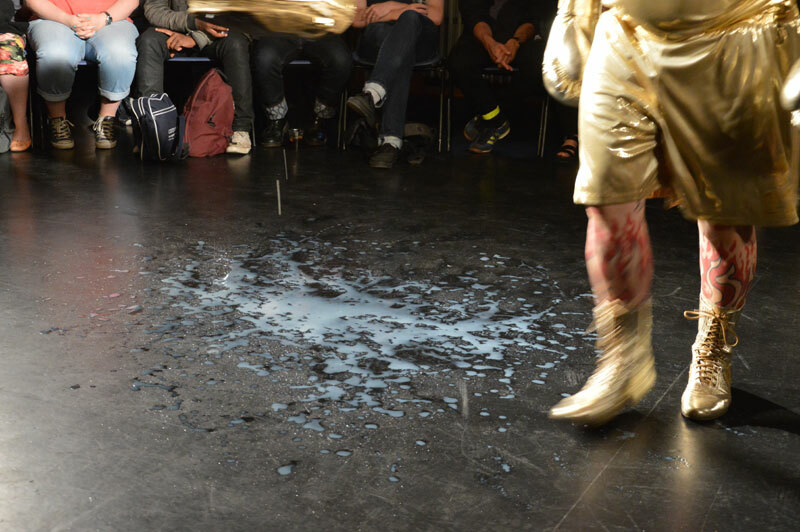 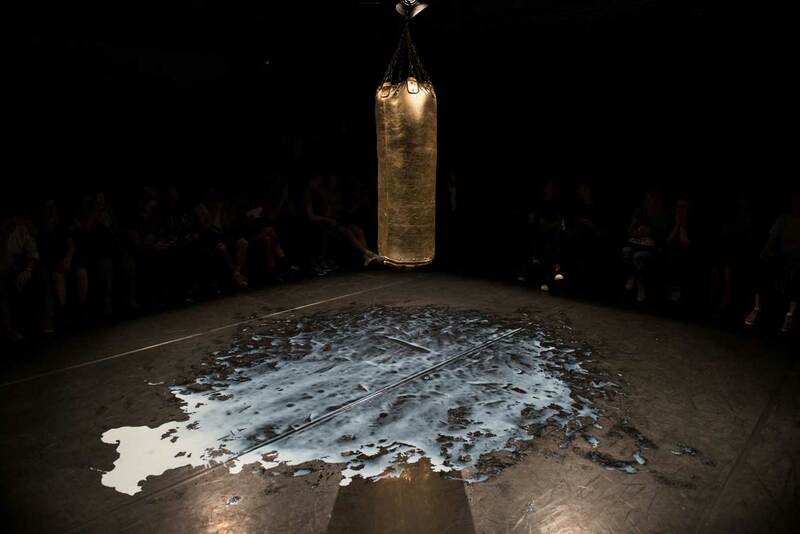 Milk & Blood appropriates the aesthetics of boxing for thirteen two minute rounds of mental and physical endurance. 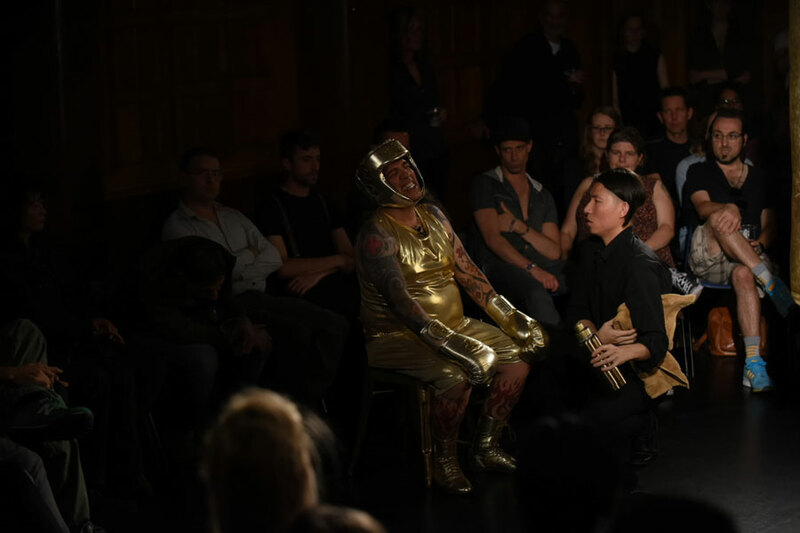 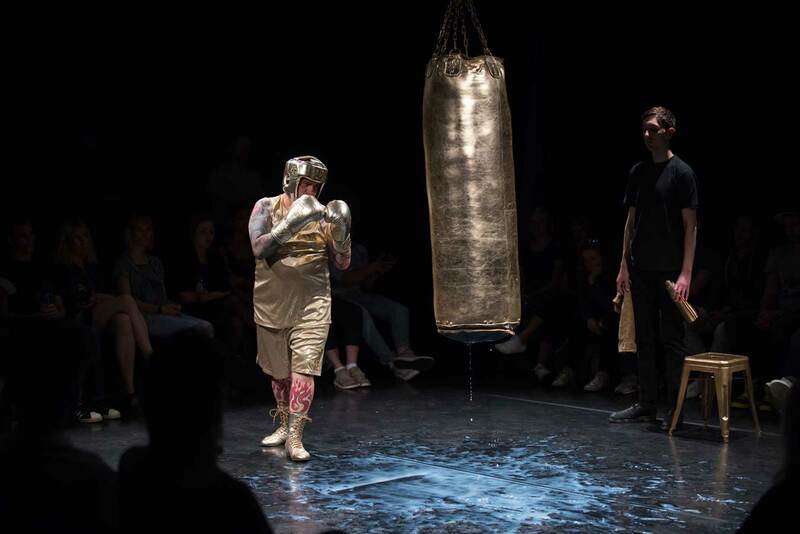 Exploring themes of pain, eroticism, revulsion, ecstasy and masculinity, the performance becomes a metaphor for social struggle and the ability to overcome. 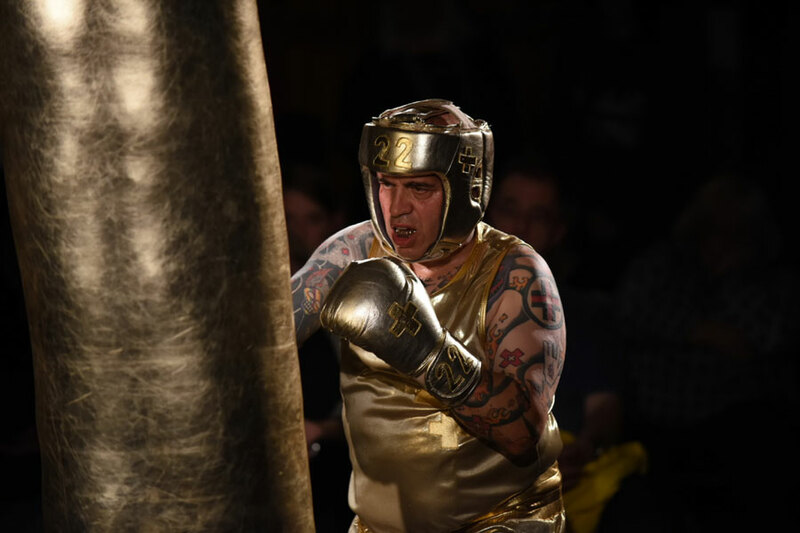 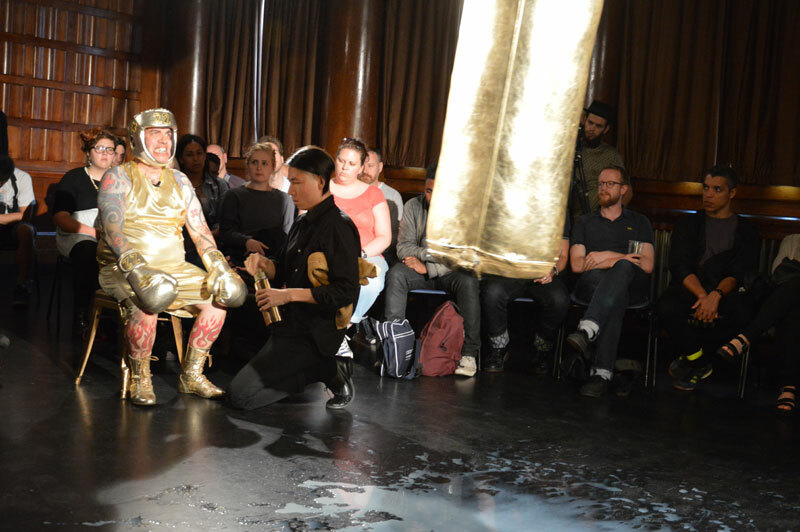 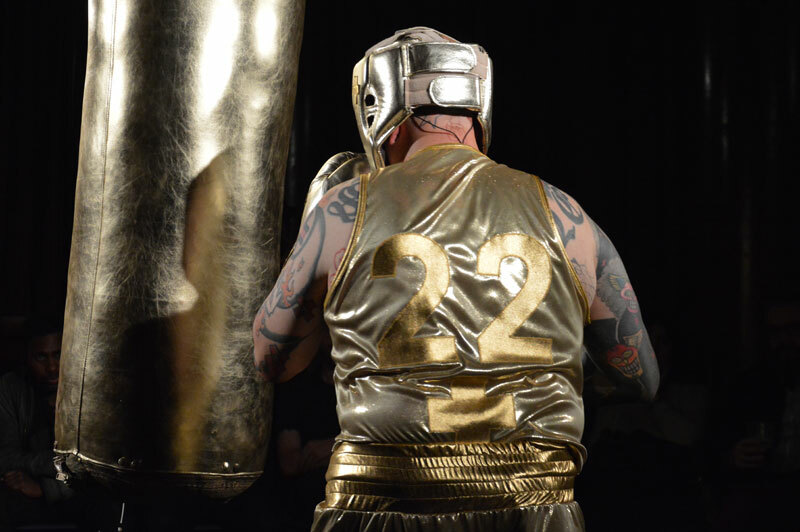 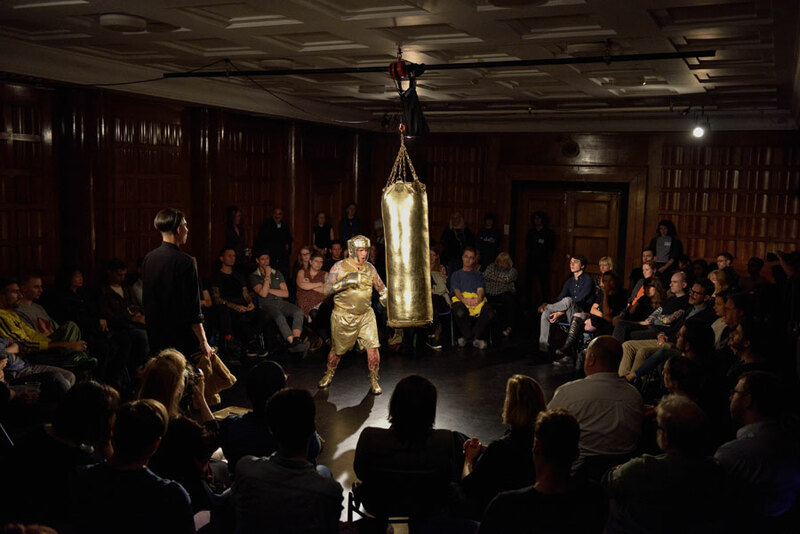 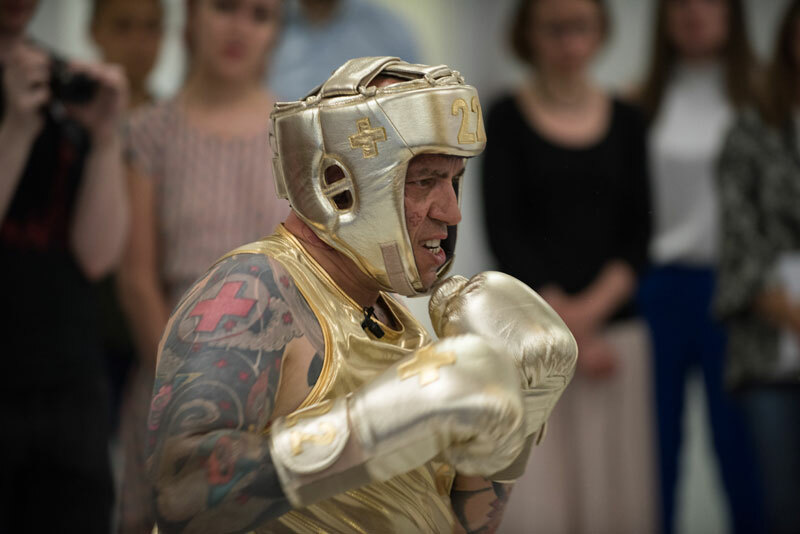 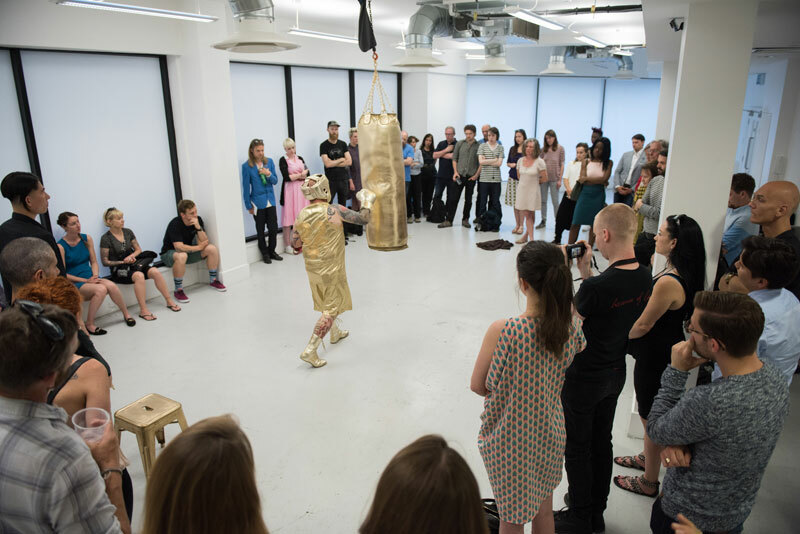 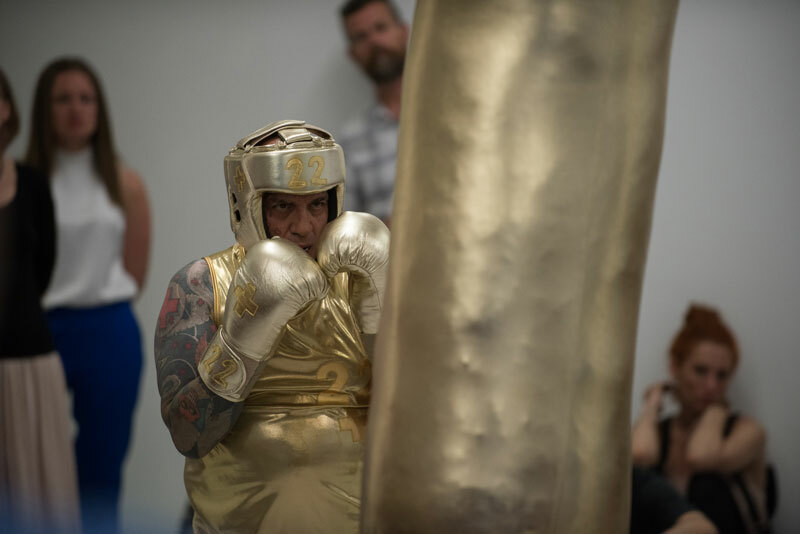 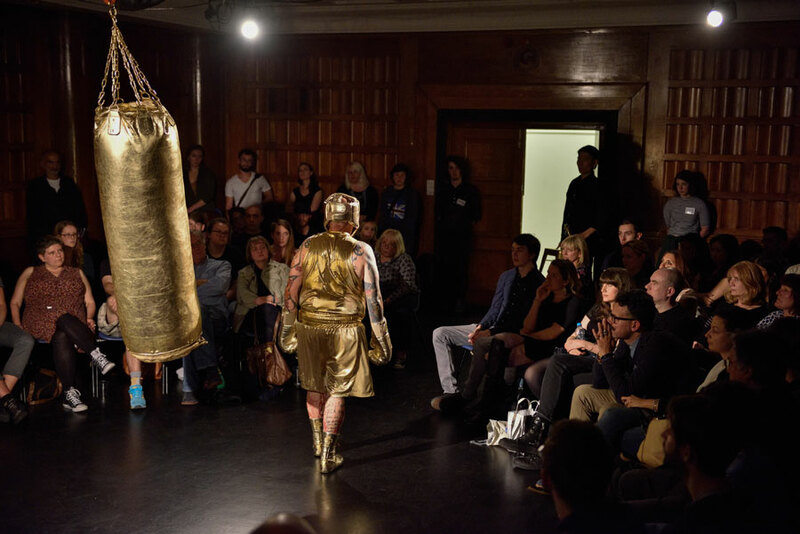 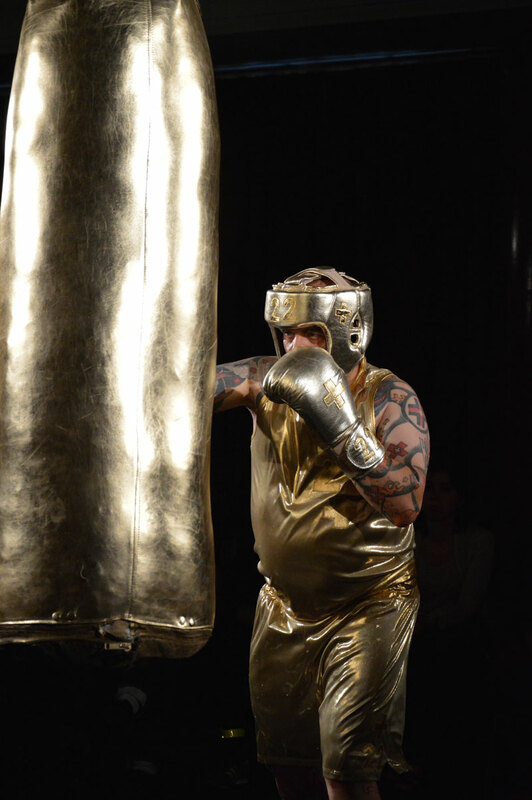 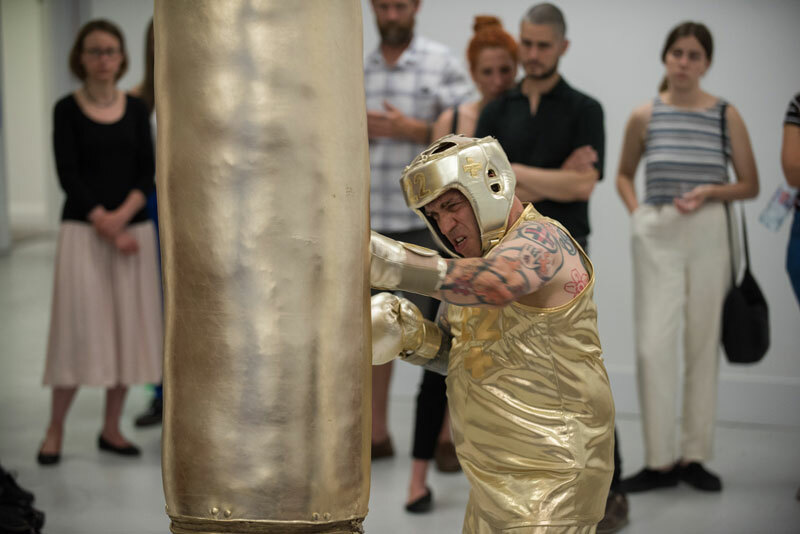 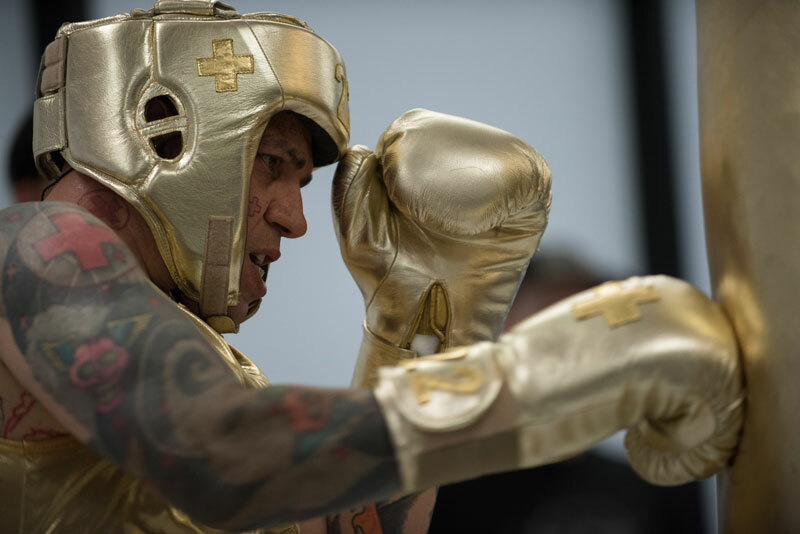 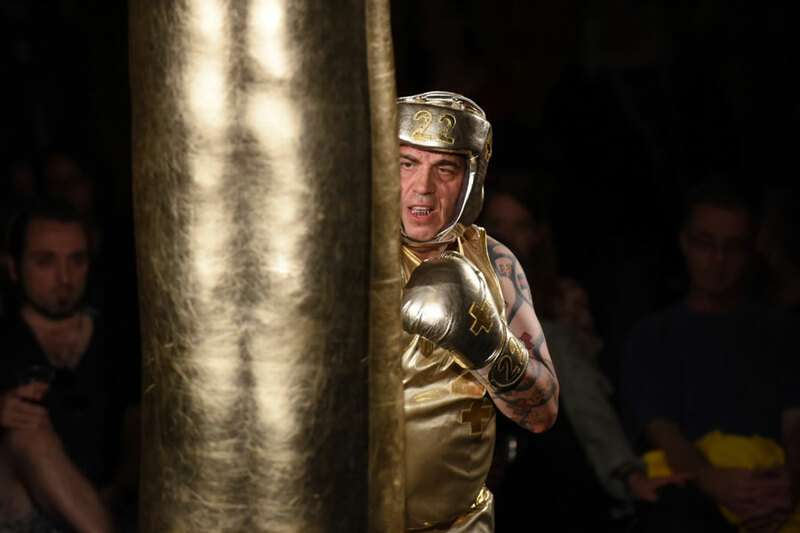 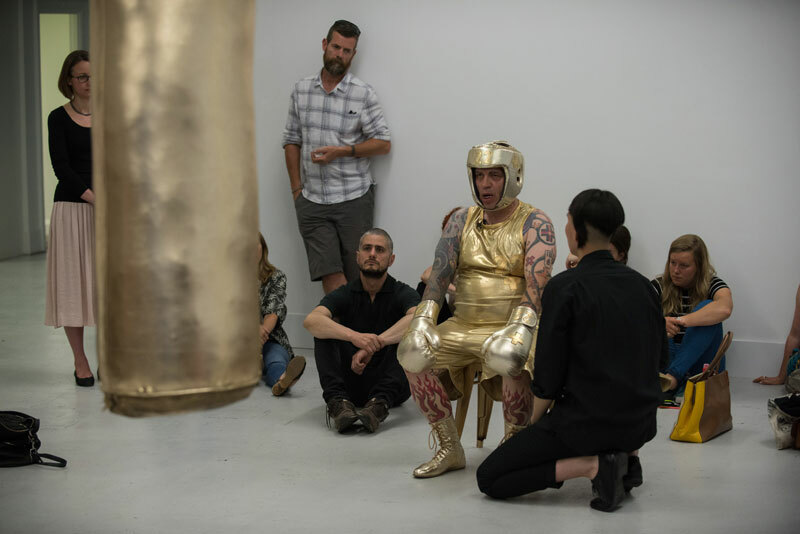 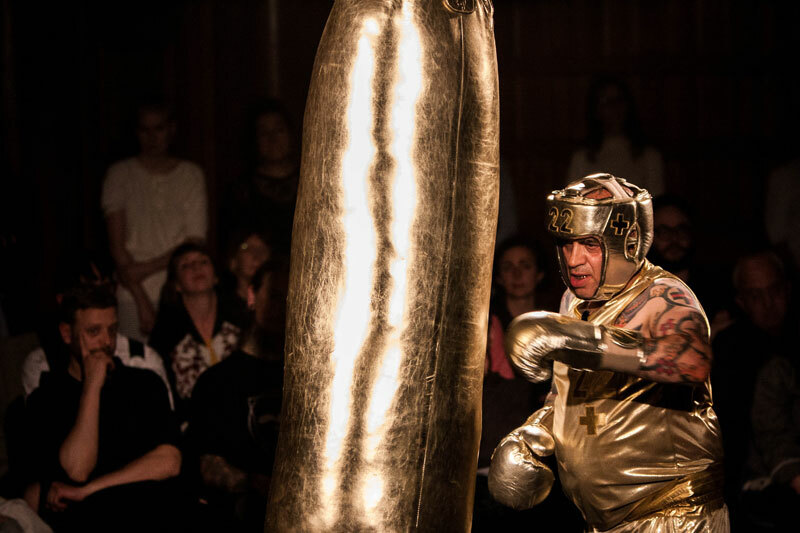 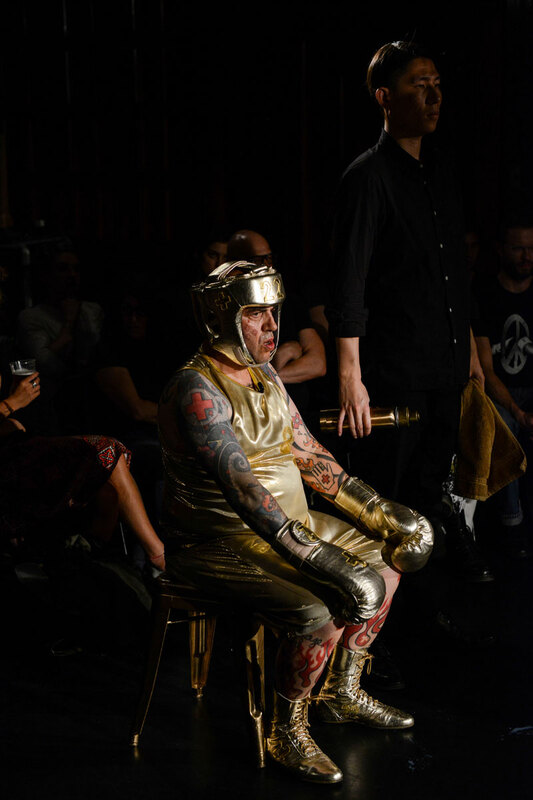 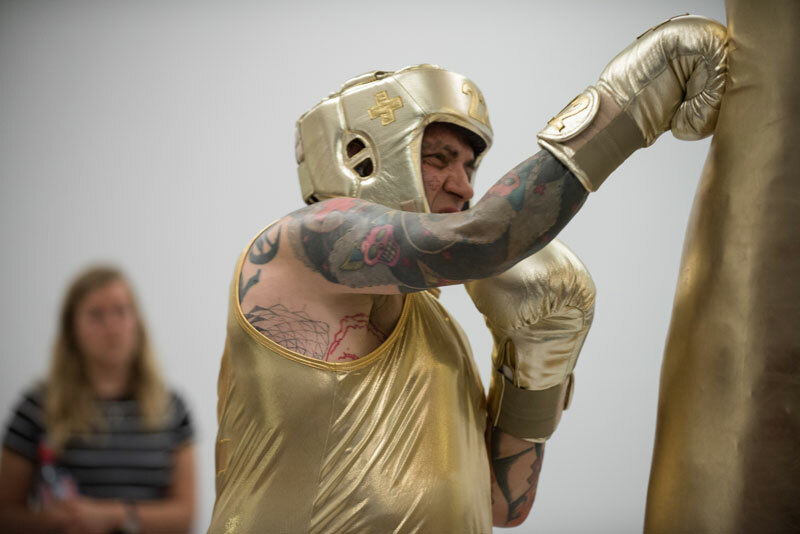 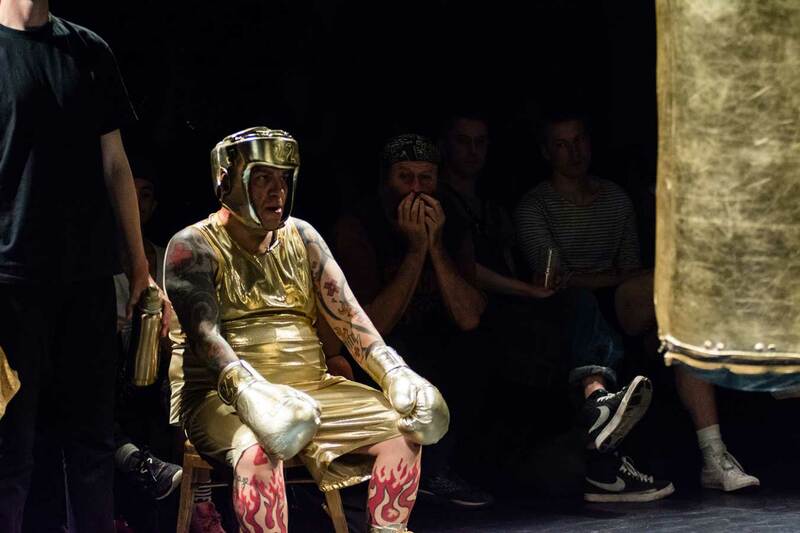 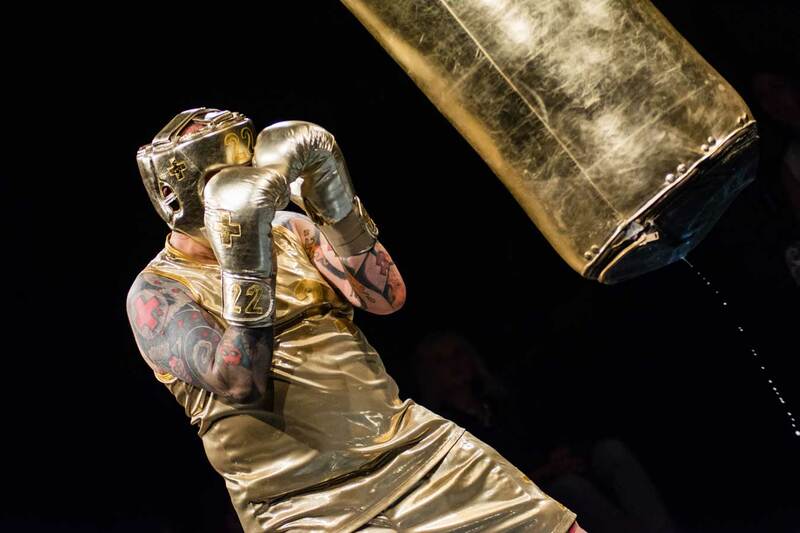 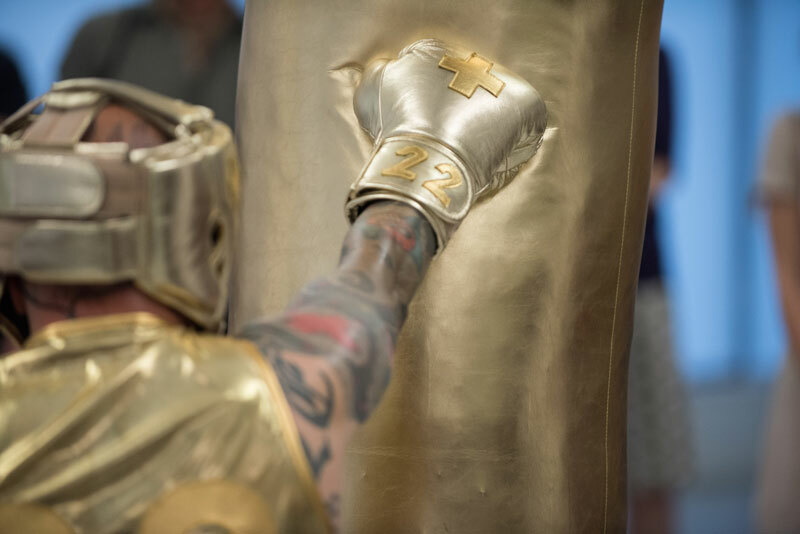 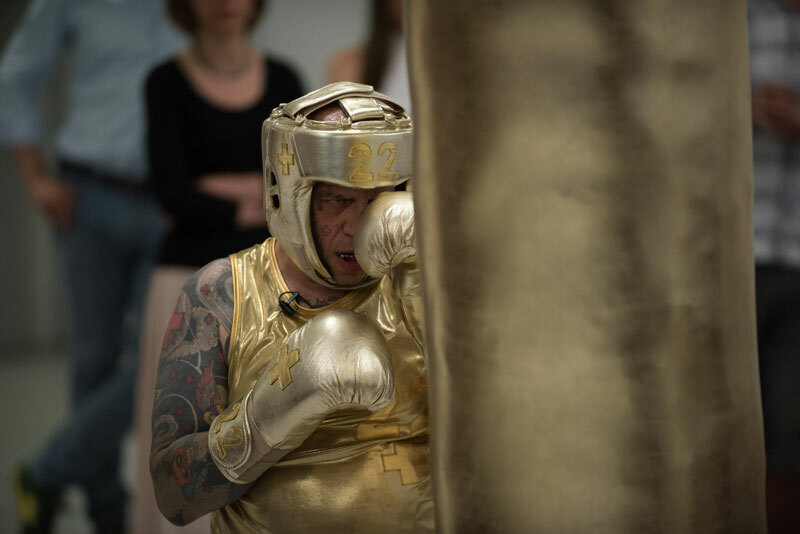 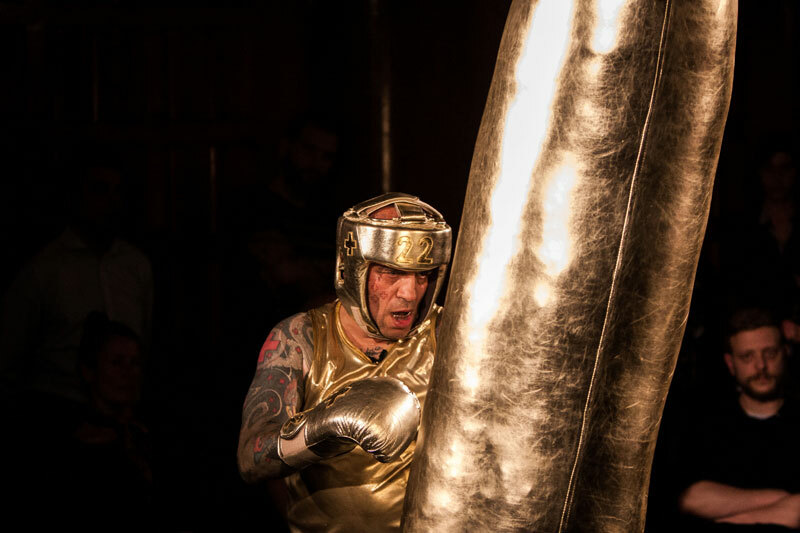 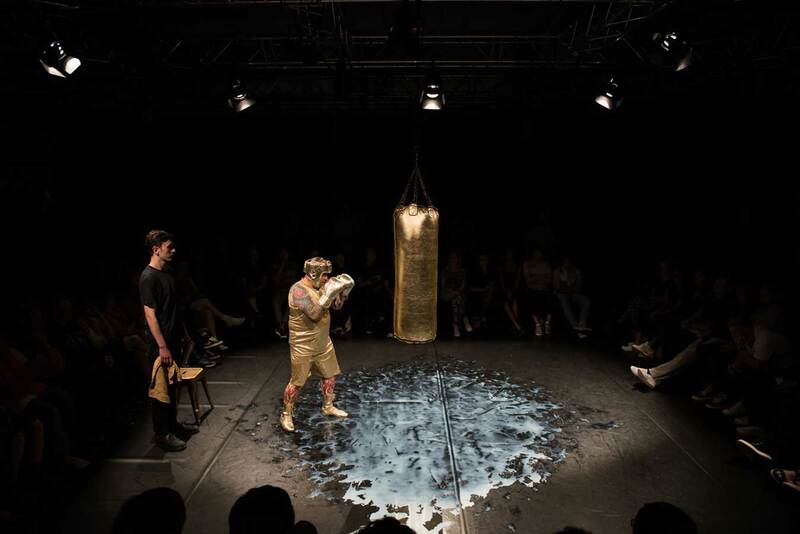 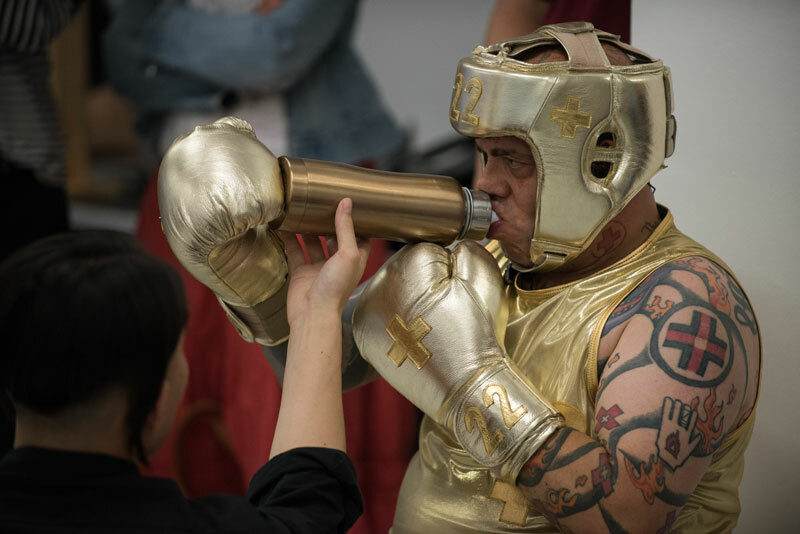 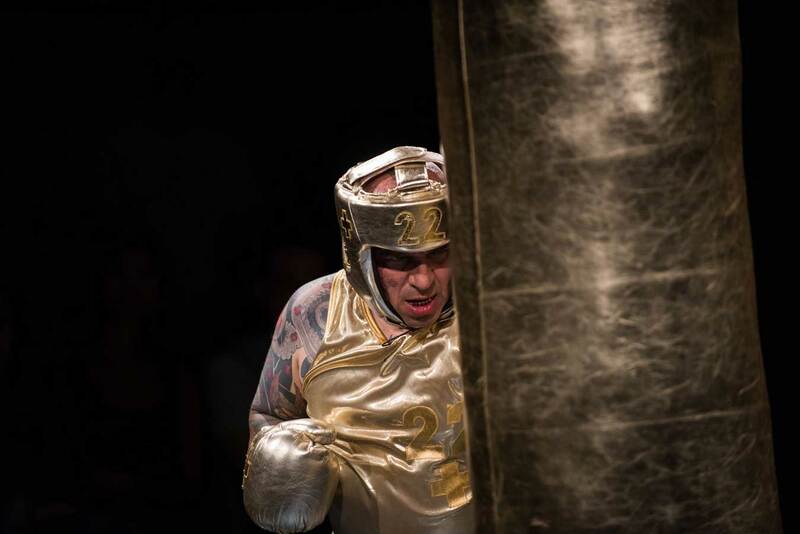 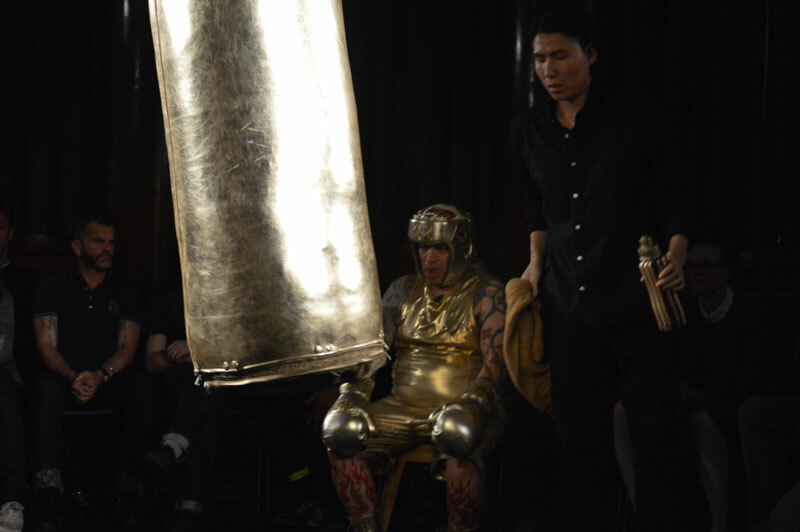 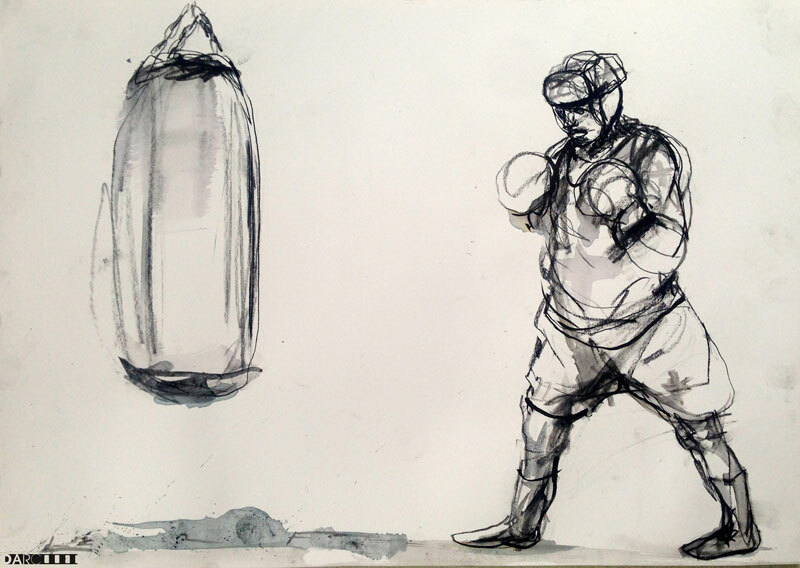 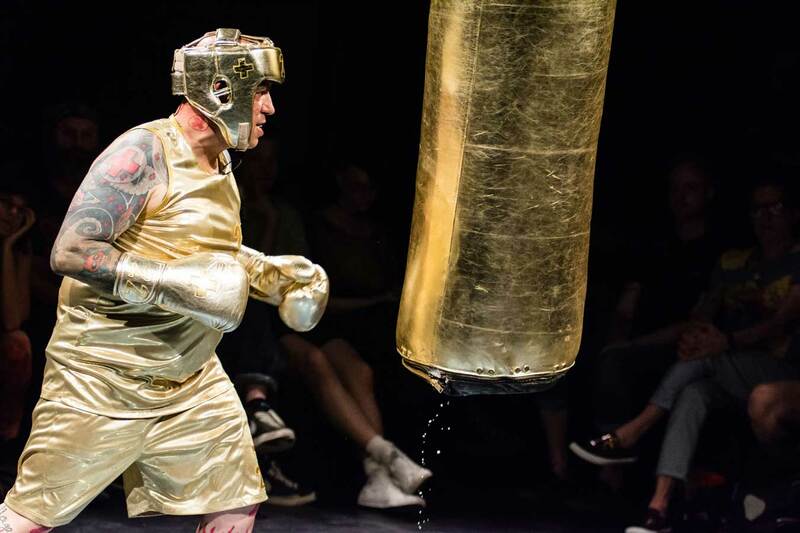 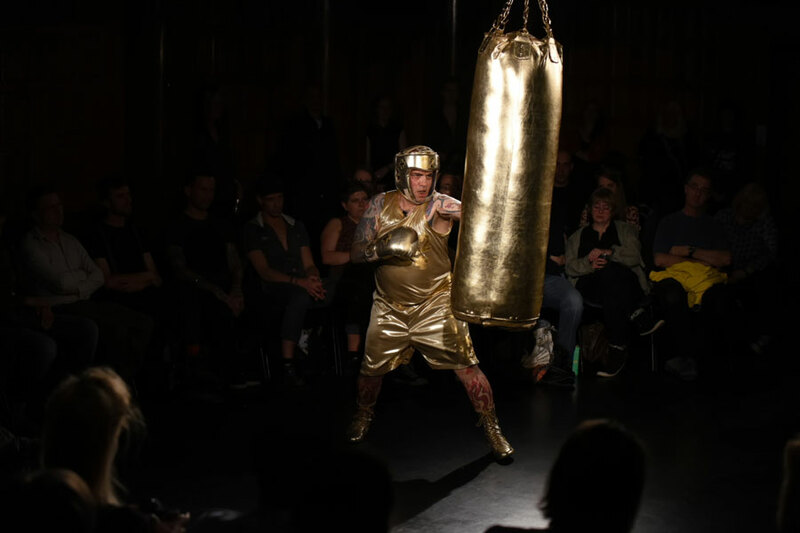 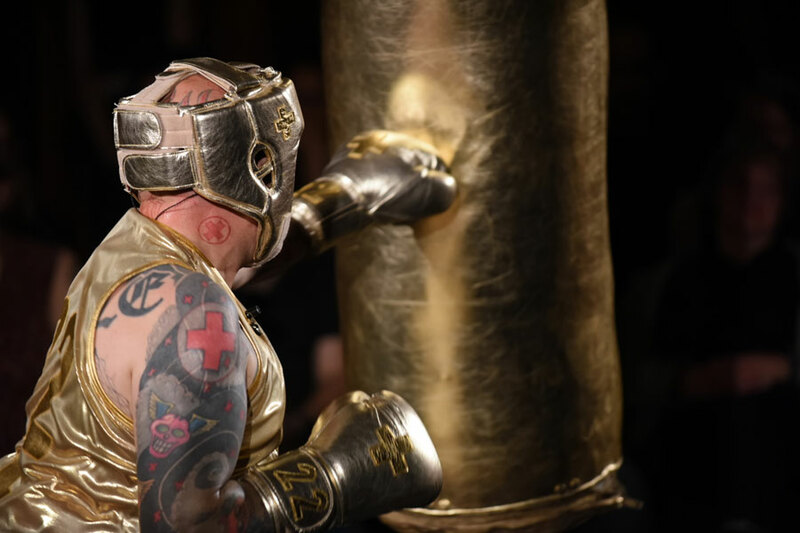 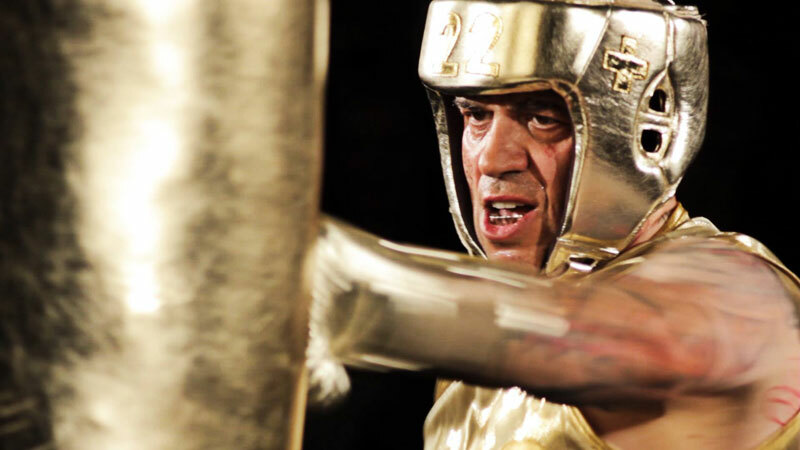 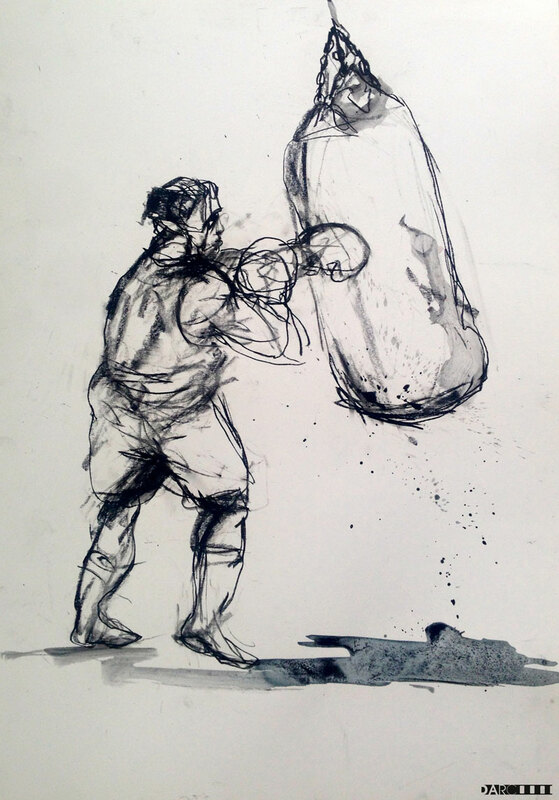 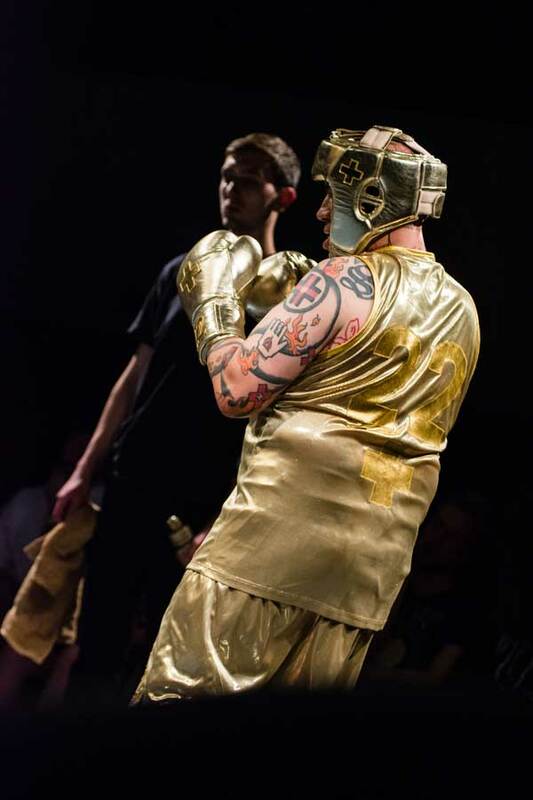 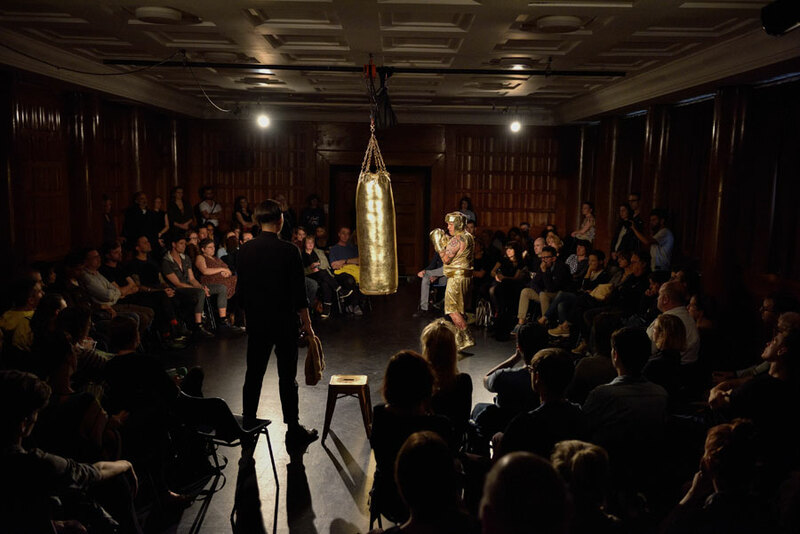 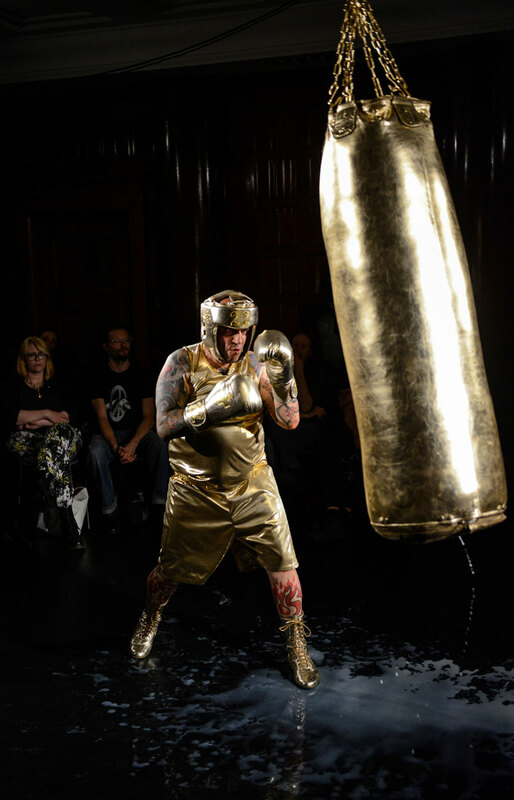 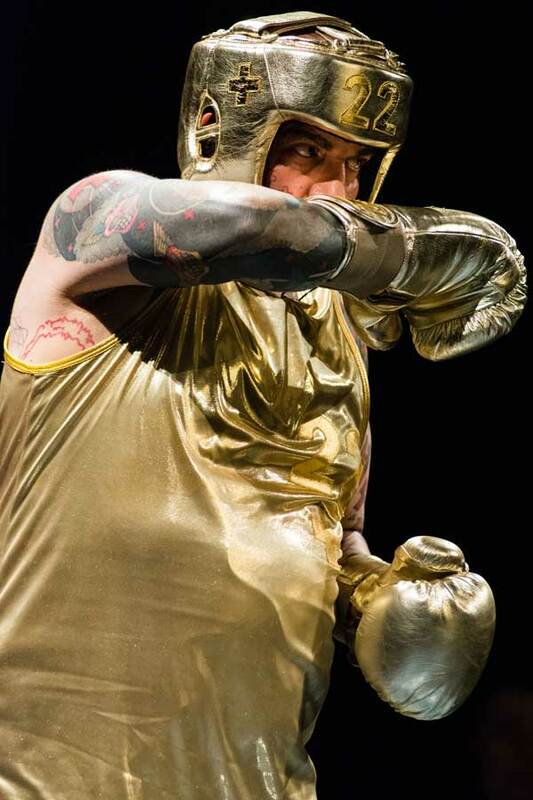 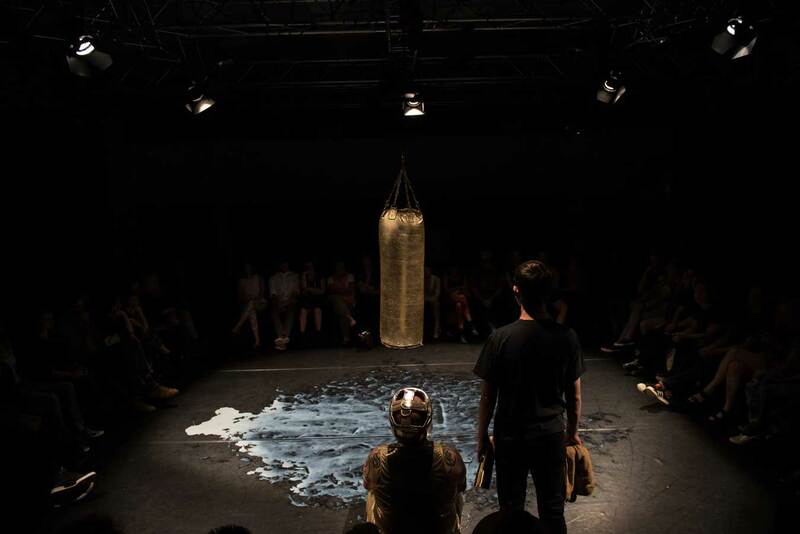 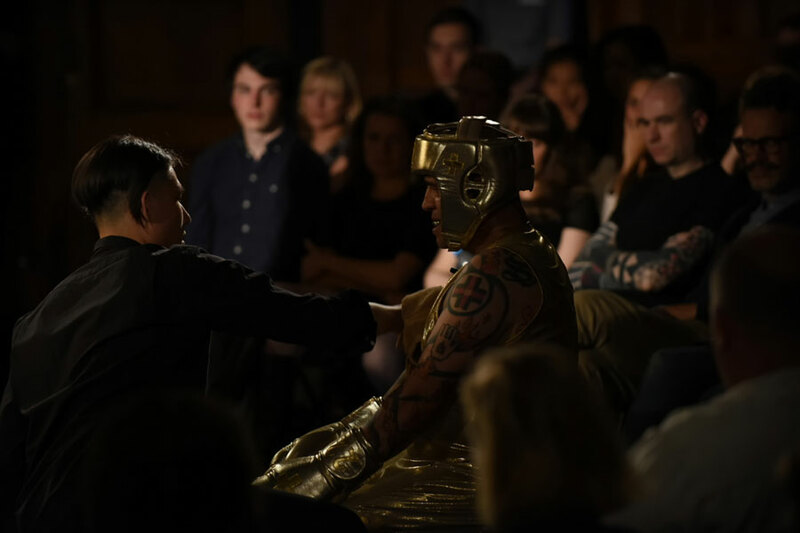 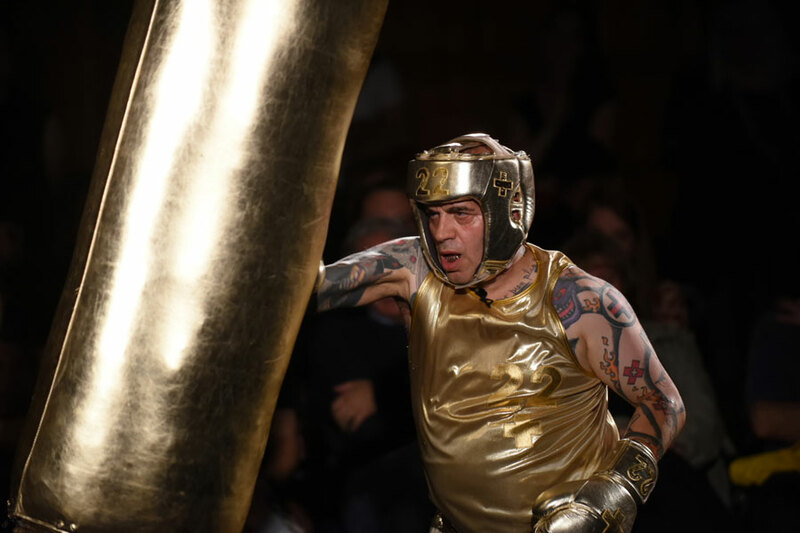 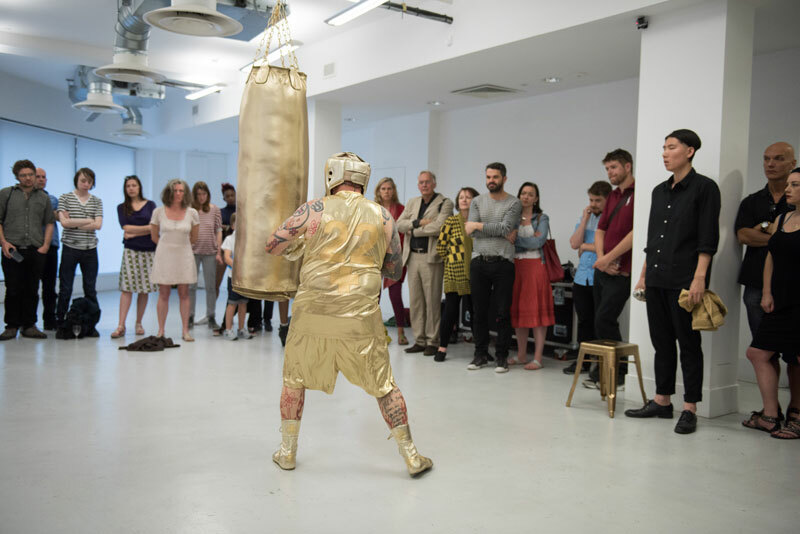 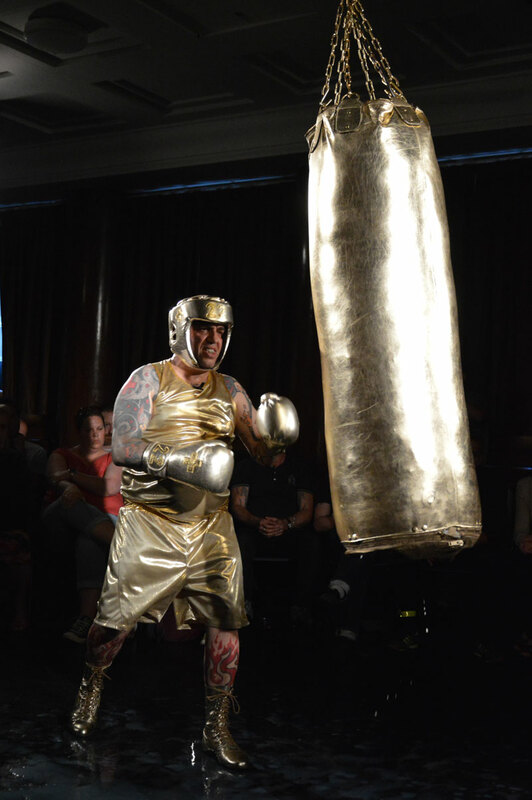 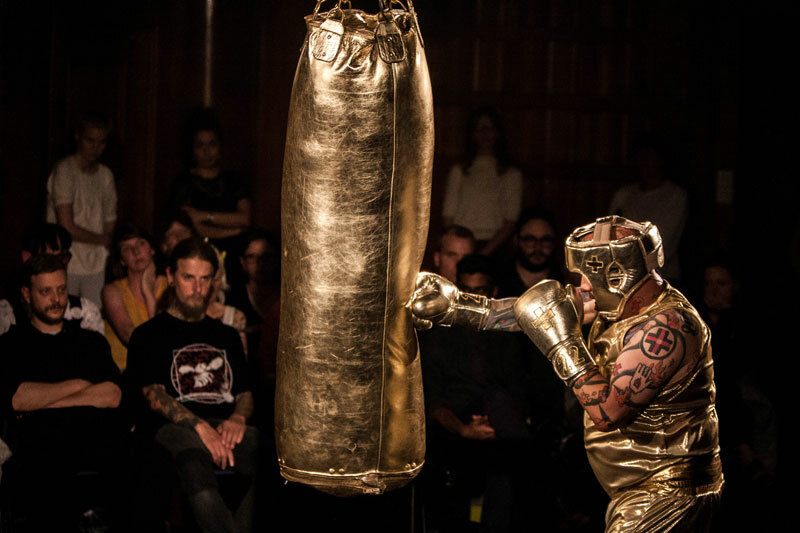 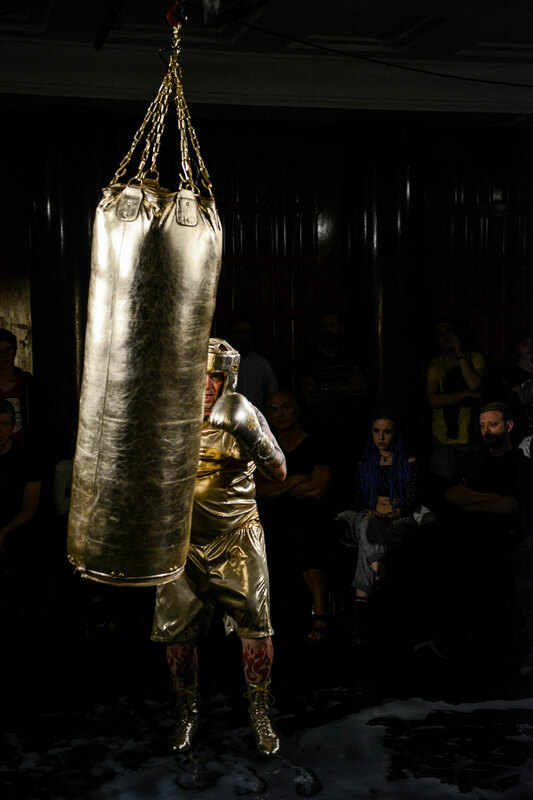 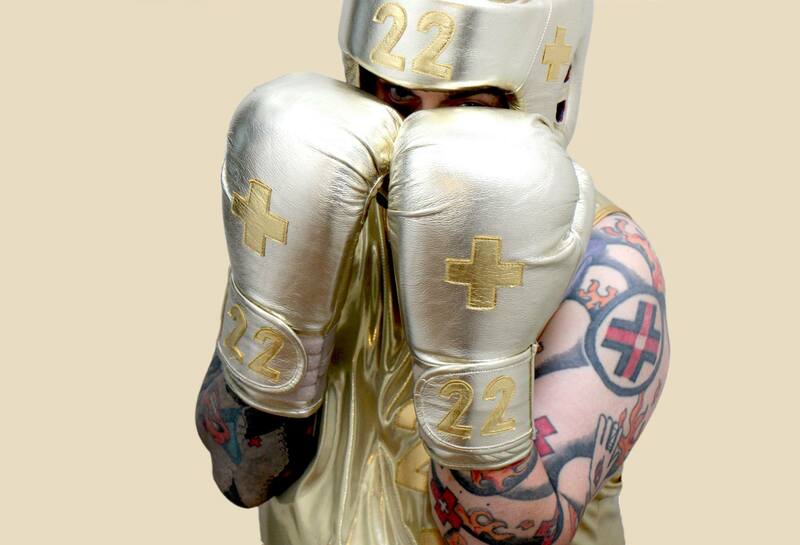 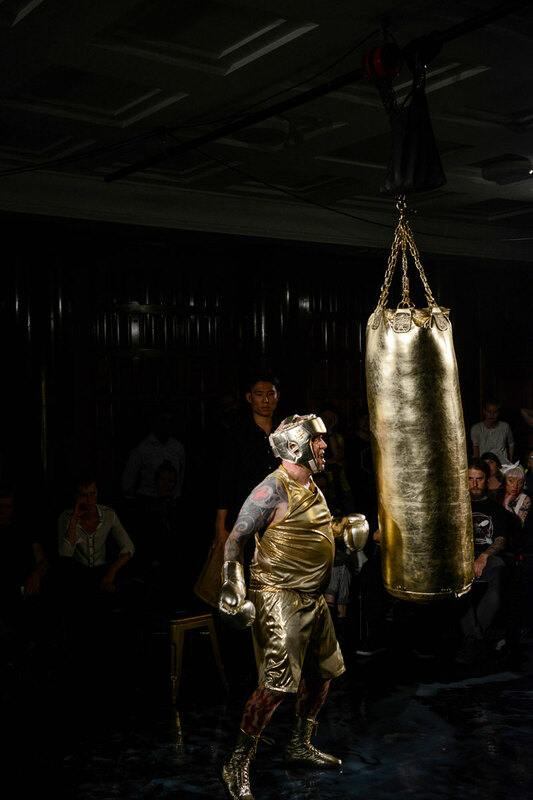 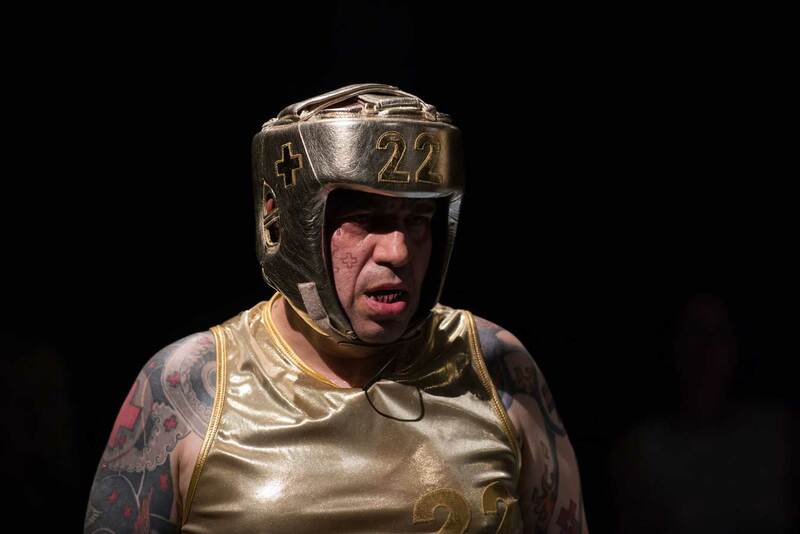 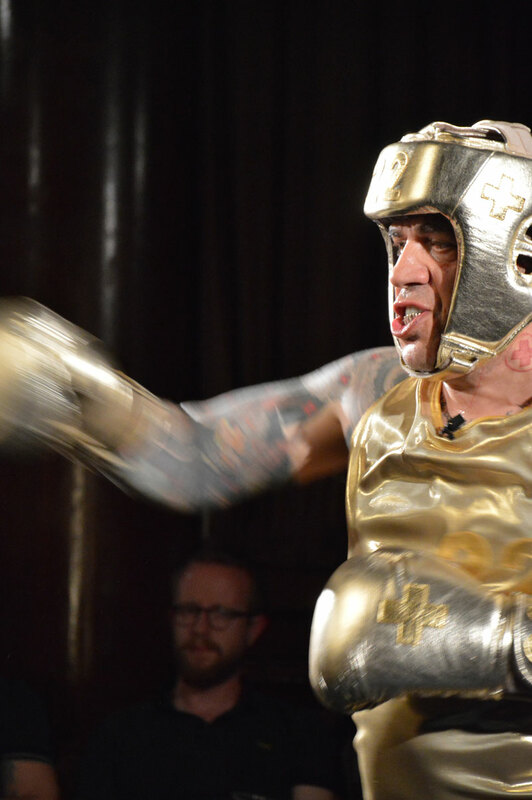 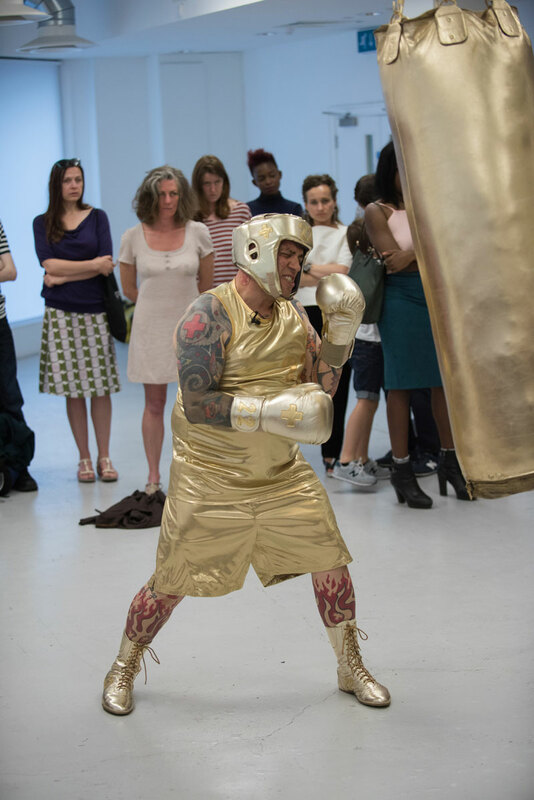 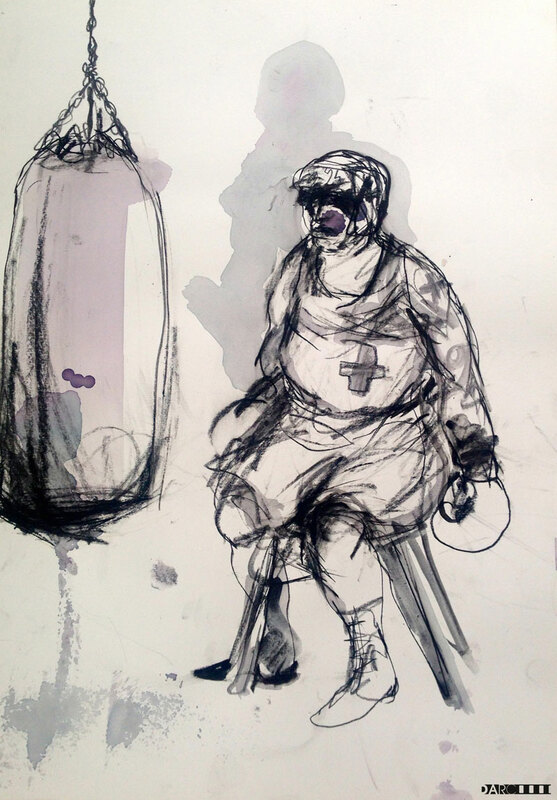 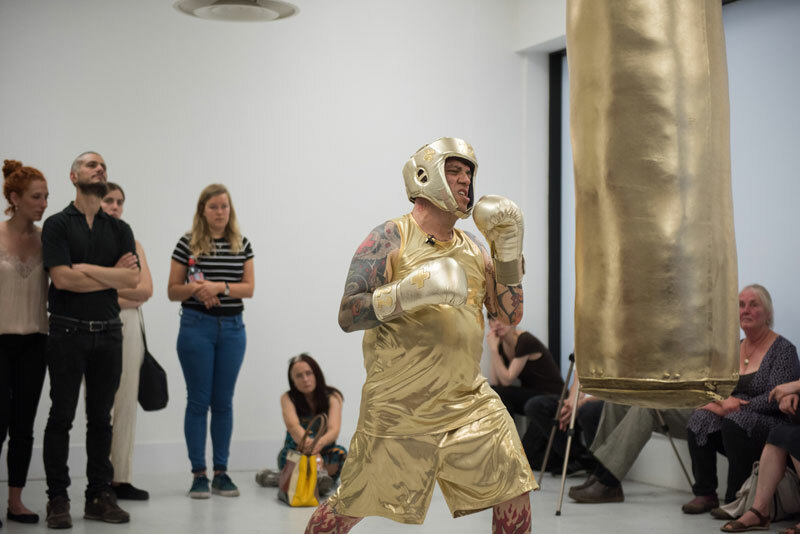 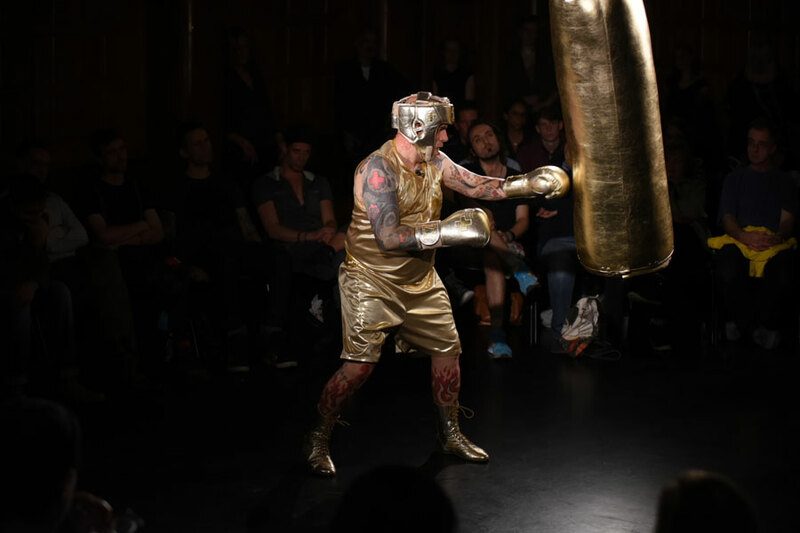 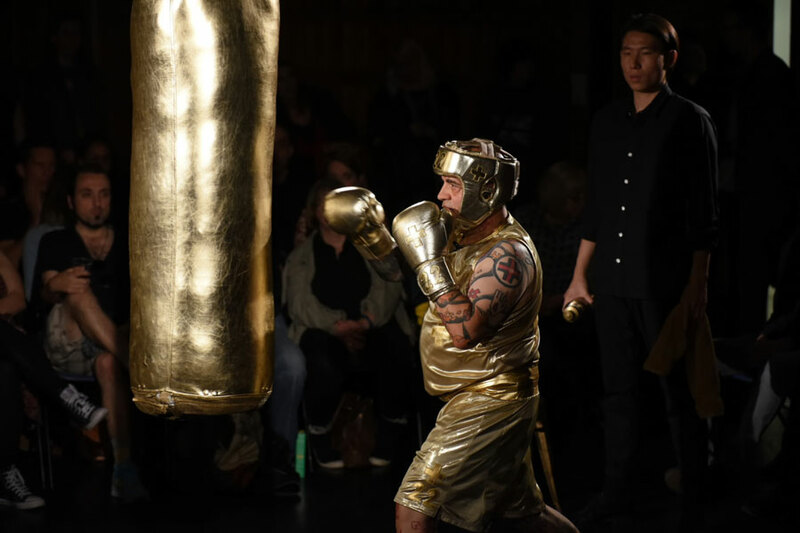 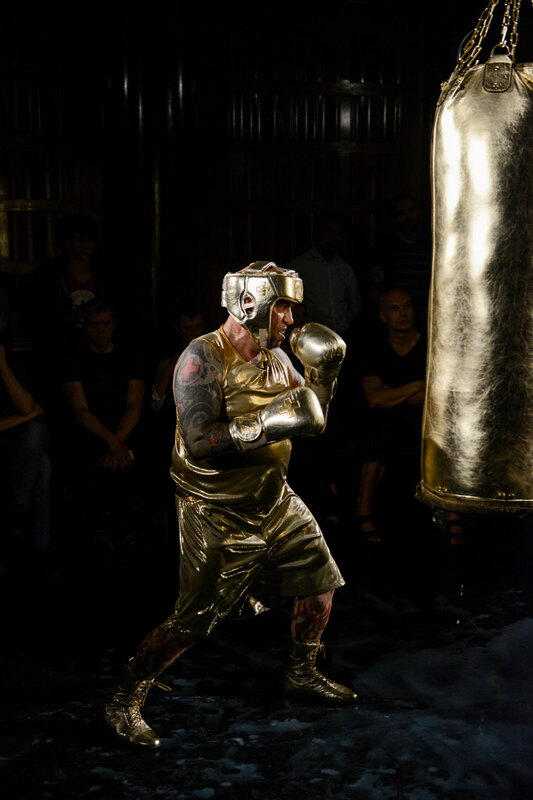 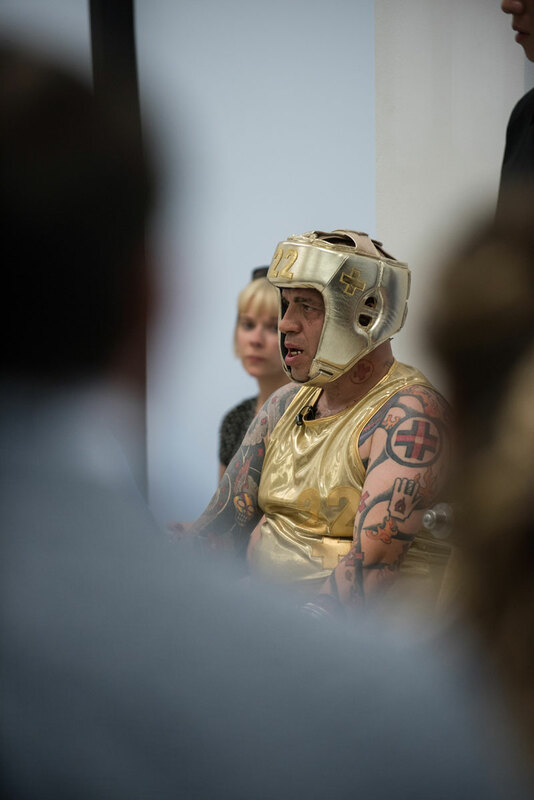 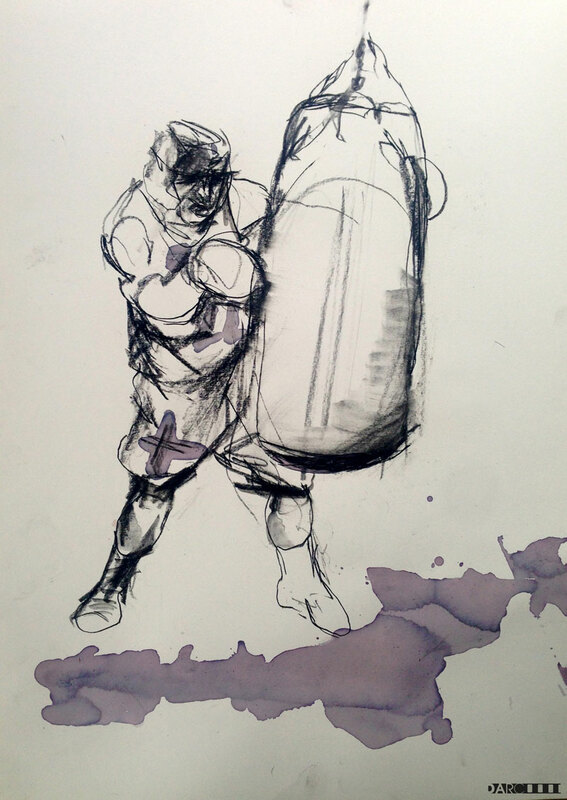 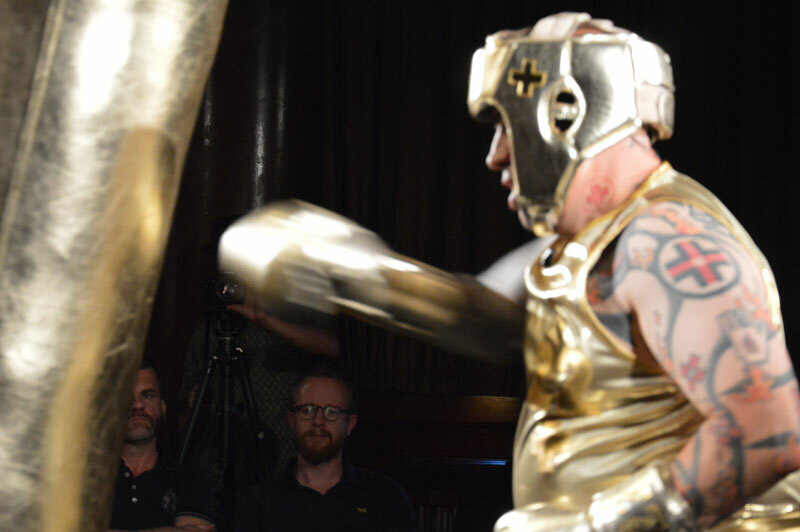 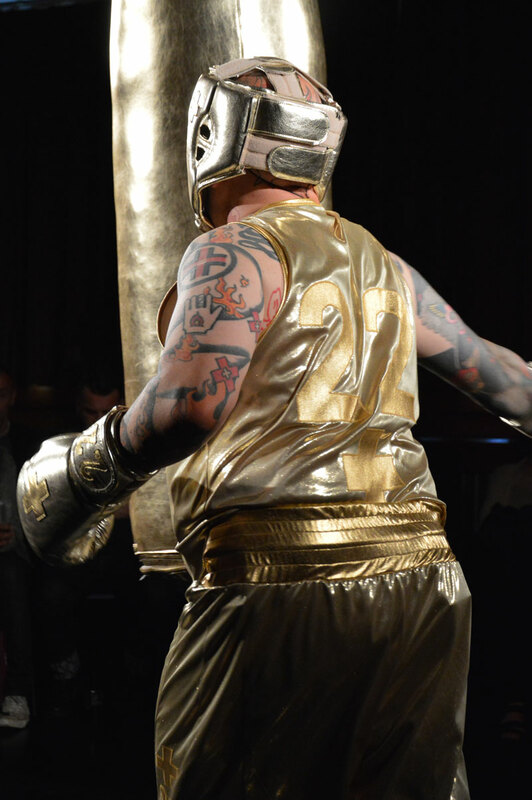 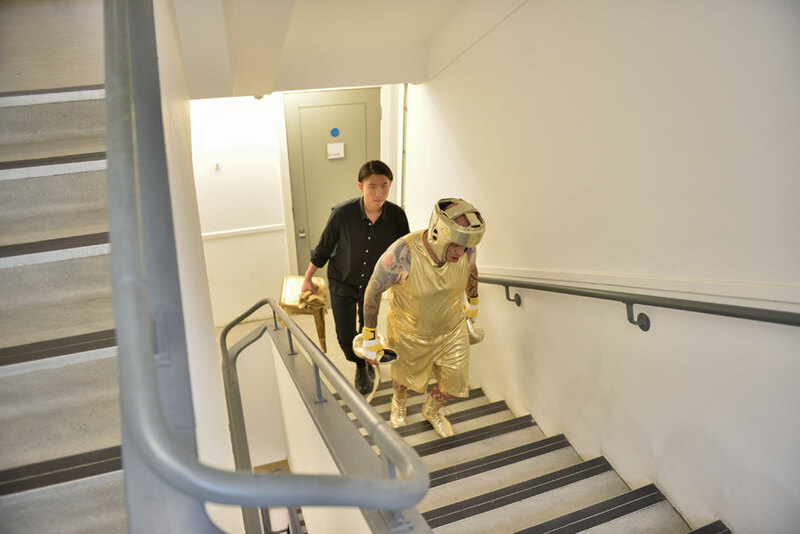 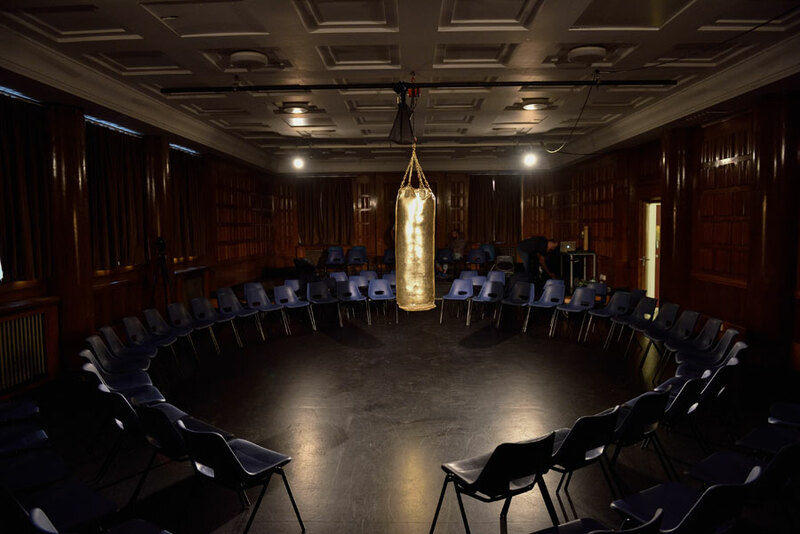 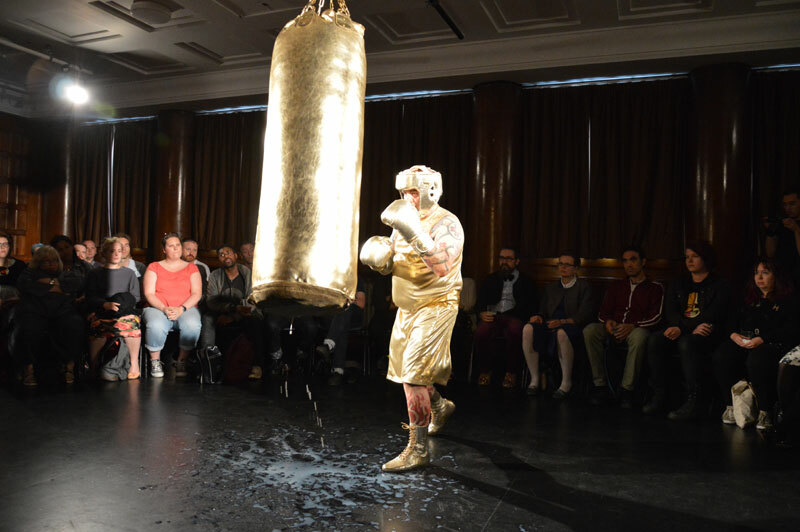 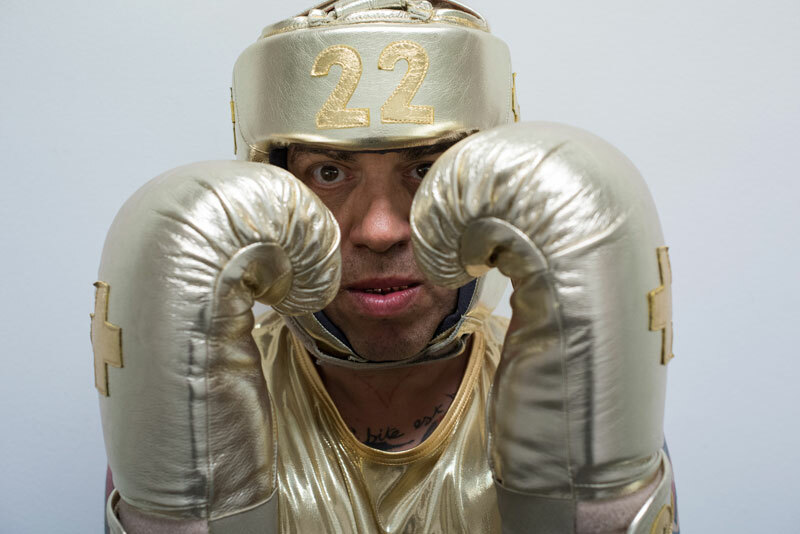 Internationally recognised as a pioneering performance artist, Franko B uses both his body and a punch bag as democratic tools, embodying notions of the personal, political and poetic. 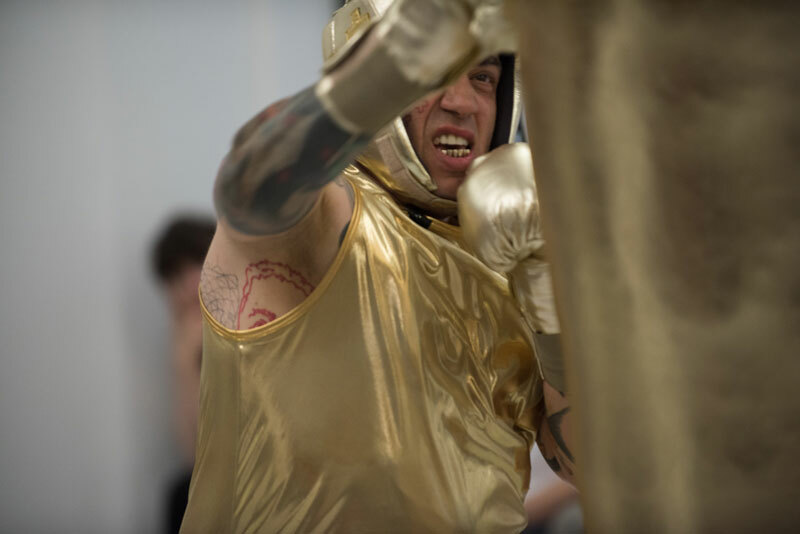 In this unprecedented performance Franko B returns to the seminal aesthetics of the wound. 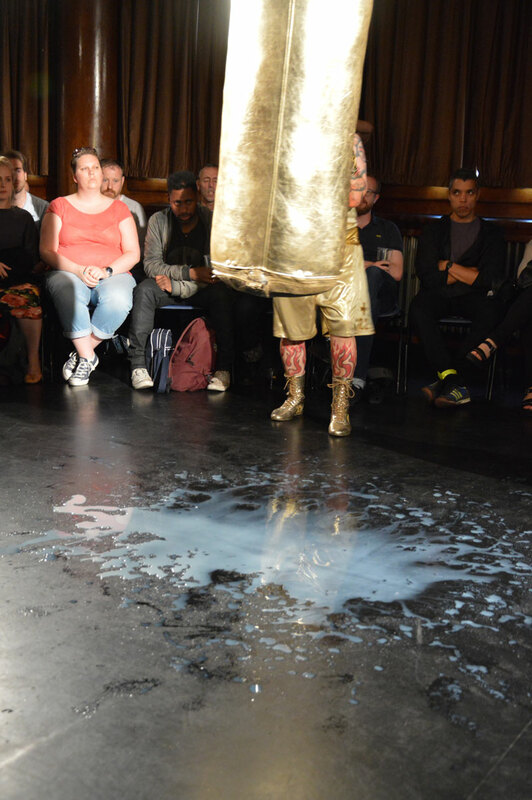 Milk will bleed.